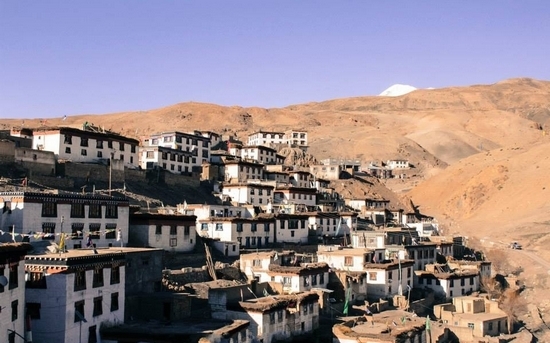 The mighty Tribal Circuit, Spiti Valley, can be a great option for you to feed that travel bug inside you. It is one of the most heavenly places on earth you would ever visit in your life. The colour of the sky is quite special here. The snow-capped Himalayas are the views you take with you to your grave. Move your camera 360 degrees and in any direction, you will capture an amazing picture. 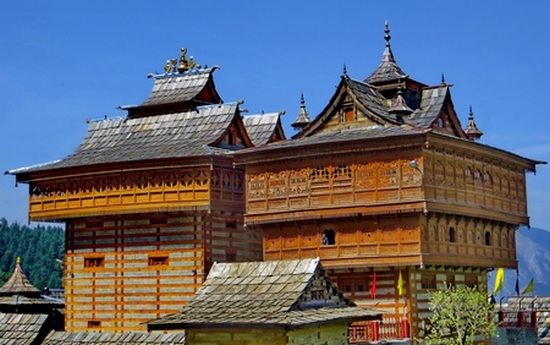 You will see how the Buddhist culture is well embedded in these small villages of Himalayas. Colourful flags add to the brightness to this barren beauty. Stones carved with “Om Mani Padme Hum” will bring out your religious self. And the love and respect of locals will definitely humble you. 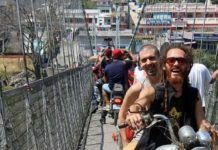 You will find many good itineraries for your trip on the internet, but this is the simple and must follow checklist you should keep with you. 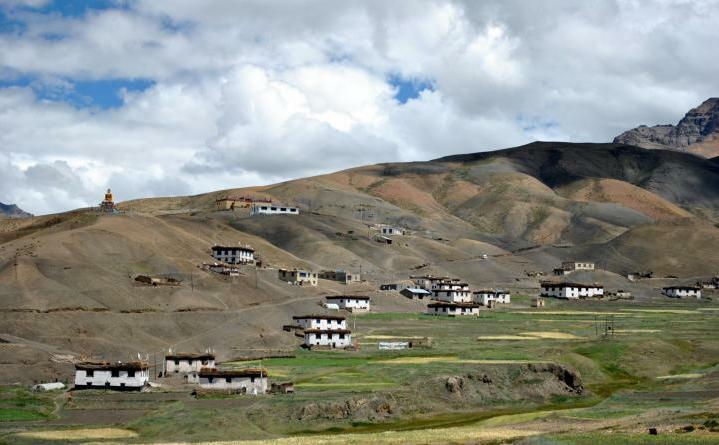 You might want to stay at Sarahan, as this place is also a good break point on your Spiti expedition. 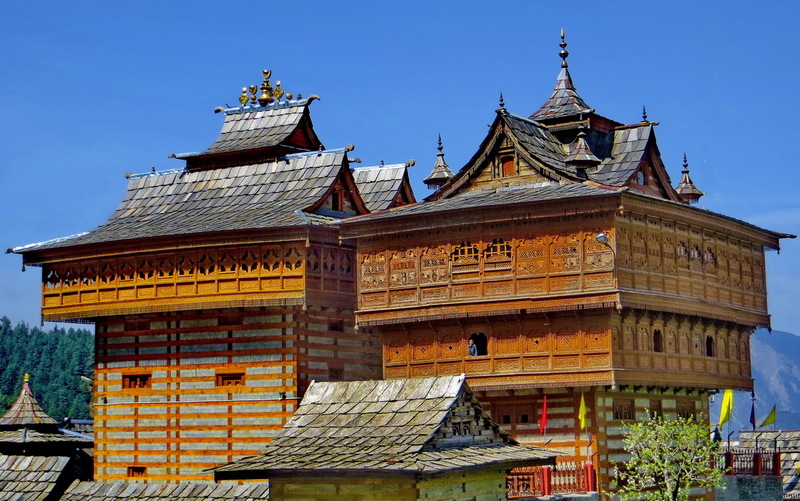 You should definitely visit the Shree Bhimkali Temple, an 800 years old architectural marvel besides soaking in the pristine beauty of this area. Another beautiful journey breaker Sangla is a small village in the Baspa Valley, with limited options but plenty of eating joints and cafes. 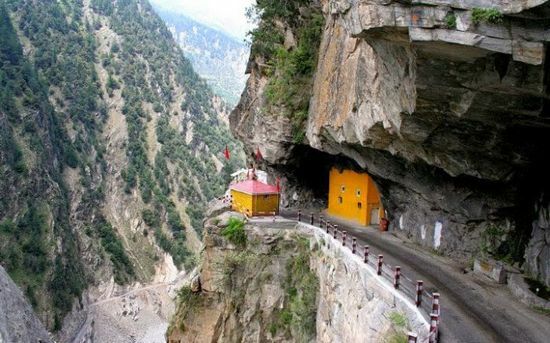 While Sangla will not give you the feel of an isolated village, the roads leading to it might. 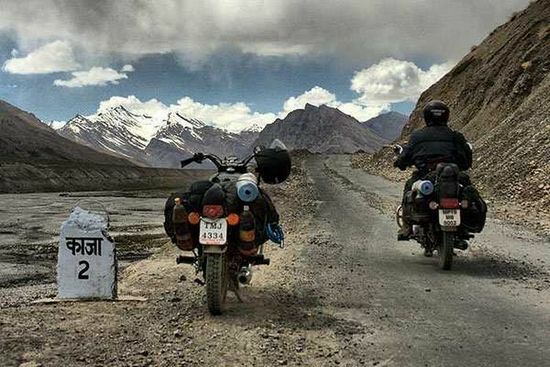 If you had that strength of taking on those so called roads, then another 22km (1 Hour) ride can take you to Chitkul. 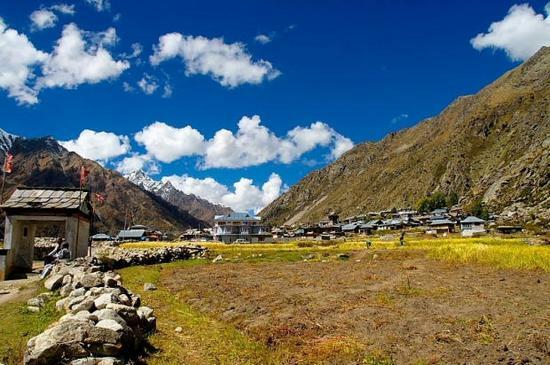 The last village on the Indo-China border, Chitkul is another major attraction on this circuit. Even if you stay at Sangla, another day spent at Chitkul is something you will definitely not regret. 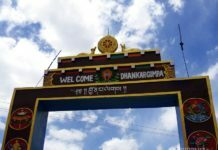 If you are coming from Shimla side (highly recommended) for your tribal expedition, then this village would be a preparation to the barren land ahead. Located in upper Kinnaur, you can complete the whole village darshan on foot. Plenty of options of home stays make sure you reach there on time. Because during the peak season, it would be difficult to find the place of your choice. When you drive from Nako to Tabo, you cross a bridge over the Spiti River after Sumdo and take a detour of about 7 km to reach a small hamlet called Giu. 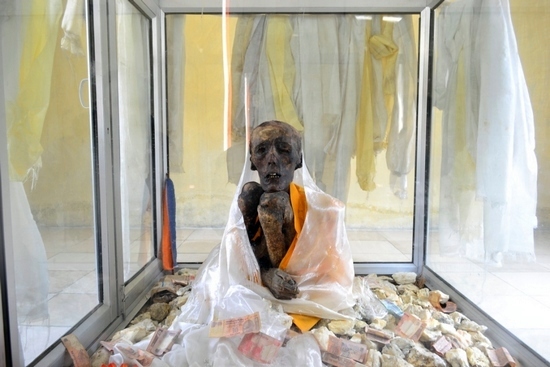 A 500 years old mummy preserved naturally is a mystery for everyone. The monk was found by ITBP during a road clearance project. 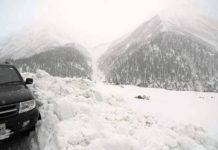 It was under the avalanche for hundred of years. And later it was brought to Giu and a small shrine was built around it. 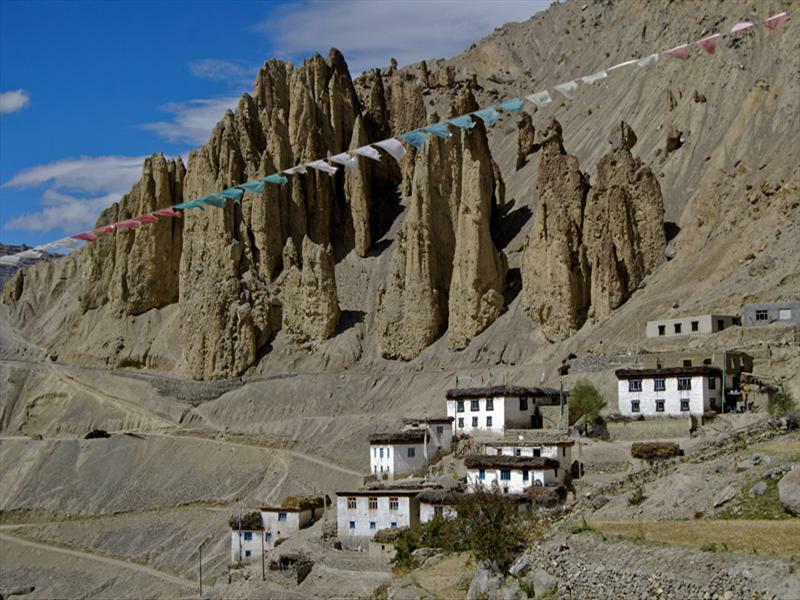 At Tabo, you can visit an age old Monastery which is quite different as it has 9 temples and many Stupas. All of these are made up of mud and is standing tall for more than a thousand years. Also another marvel is Tabo caves, which is debatable if they are man made or natural. Many of them are now under the Archaeological Survey of India and are being studied. Dhankar Monastery is another architectural marvel you would want to see again and again. 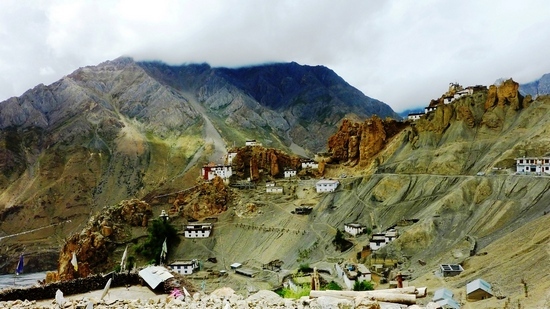 Almost hanging on the top of a hill, this is one of its kind Monastery in Spiti. When you go inside the monastery, you can certainly feel the difference in the vibe of the place. Monks have been performing prayers at the same place for centuries. 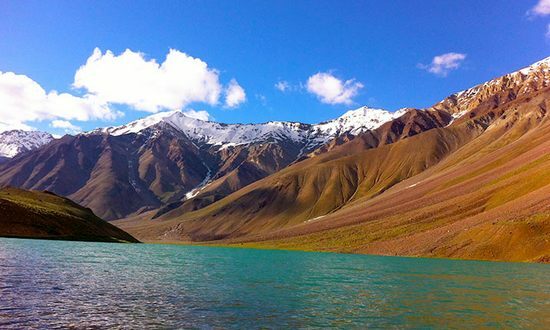 There is a lake that is higher even than the monastery, you trek towards it to add another high to your trip. It is busy, it’s noisy, yet a beautiful place. Dare not expect Kaza to be a calm-mountain city. It will certainly remind you of Manali & Shimla. Of course when it comes to landscapes, it is far better as it surrounded by tall mountains completely. And when clouds touch the peaks of those mighty big mountains, view from your room will be breathtaking. Kaza is also home to the world’s highest retail petrol station. Next fuelling station can only be found at Manali or Shimla, depending on which side you are headed. It is also base to many trekking routes hence you will find many shops offering you to rent trekking gadgets. Just 13 kilometers from Kaza is Langza, one heavenly village. The huge Buddha statue on the topmost hill looks like as if its keeping an eye on all the villagers. Beauty of Langza is certainly difficult to explain in words, the experience of this place hits your soul. It is mecca for those who are looking for a calm place to spend some time with nature and harsh weather. Hikkim & Komik are other villages on the same route you must visit. 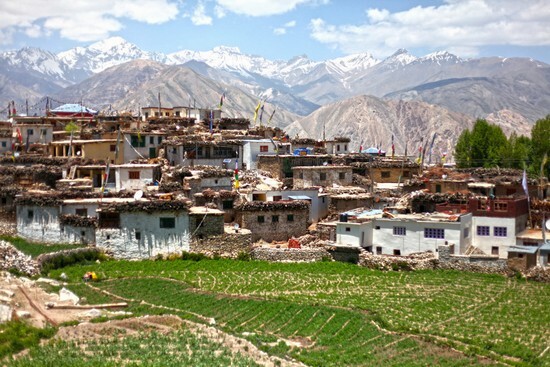 As these are one of the highest villages of the world, Hikkim has the highest post office of the world and Komik is the highest motorable village of Asia. 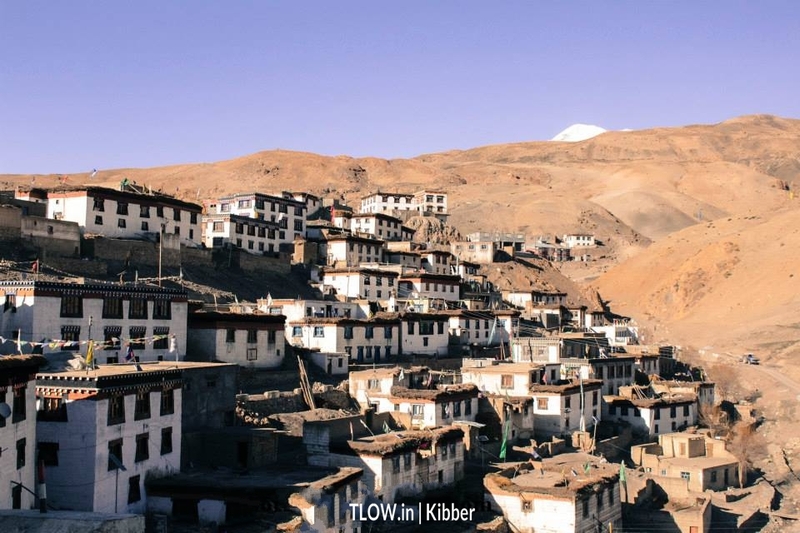 Another beautiful village you just can’t afford to miss on your Spiti expedition is Kibber. 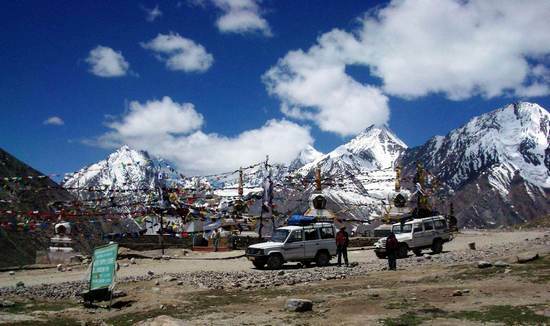 On your way, you will stop by for Key Monastery, which is a major attraction of Tribal Circuit. You can also plan a stay at the Key Monastery and learn a thing or two with monks. Village Kibber has only 60-70 houses and all of them are painted white. And all the houses are strangely in a perfect alignment. Something you will understand the day you visit Kibber. At 15,000 feet, you gotta expect a lot from nature. And trust me at Kunzum you will always get more than you desire. On your drive towards Chandratal, you will see Kunzum top, few Gompa like structures with flags all over the place. There is a temple at the top, well it has to be you are in India. Spending time at this place is always advisable as you get a rare chance to look the mountain in the eye. Obviously, you will definitely get a great profile picture at this place. A place where you will feel you are literally in the lap of mountains. Snow capped peaks surround you and then there are camps. Camping is altogether a different experience when it comes to travel. You are even closer to nature and experience Earth. You can opt to rest at the camps or head towards the lake. To reach the lake, you have to trek or you can opt the kacha road. Trek would be a better option as it a small trek and you will love the walk in and around the mountains. It is a moon shaped water body that changes colours throughout the day. 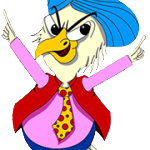 And then you can do some cliche stuff at Manali and go back home! 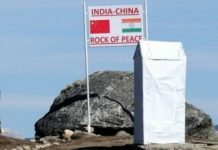 China escalates activity along Himachal Pradesh borders! Barren Beauty: Rugged Roads, Challenges, Thrill, Lifetime Memories! 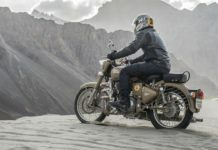 Jokes Aside, We Now Give You Reasons To BUY Royal Enfield!